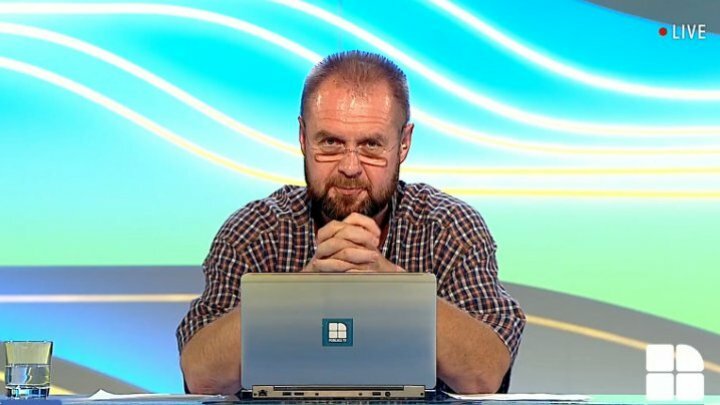 Cristian Tabără, the editor of Fabrika talkshow came up with a request to those who are called "heroes of democracy". Tabără asked them not to victimize themselves, not to complain to international organizations lying that they aren't called to the show. "A request addressed to those who will tend to victimize yourselves after this show: You are invited to this plateau on many occasions, and you refused the invitation under the most embarrassing or ridiculous excuses or offending. You victimize at the moment when we referred to you. Remember you were invited many times, and we invite you again and again, it is an open invitation. The request is not to go to international organisms and lied that you haven't been invited which is a lie. I want to emphasize that you have been invited to the show on many occasions, we have invited party leaders, representatives of NGOs. You do not want to come, I understand why you do it: you are afraid. But this means you don't have the right to victimize yourselves", said Cristian Tabără at the end of show.